I'm making a comeback on running… After a long time. This is just part of the changes i wanna make for 2013. Ive joined several marathons but this is the first adventure trail run I ever experienced. As expected, no matter how fast I am, but i guess i need more endurance and stamina in terms of uphill running. It’s kinda steep but the views are spectacular. I was worried last night because the weather is a bit gloomy and might rain in the morning during the run which wil l of course prevent me from continuing. But God has been great, He blessed us with great weather for this event. Some of the participants did not make it until the finish line and gave along the way, there were marshals roaming around and you can just ride a vehicle when its seems difficult for you to continue. At the back of the mind, no matter how difficult this trail, i will finish it. And yeah, I did it after 2 hours and 15 minutes. Tired but smiling when I ended and made my way to the finish line. When we arrived, there were food served and at the same time a short program with awarding ceremony for the winners. A group of aerobic dance club also performed during the program. They danced the all time “Gangnam Style” This brought smiles on the spectators. I am just happy that i set my foot on Campuestohan and reached the finish line unscarred. Although my feet were really tired, but I ended up smiling and feeling grateful. Of course as expected, I wa nted to roam around and discover how great this place. I am overwhelmed with all the images ive seen online and it did not di sappoint me. The newest tourist attraction in Negros Occidental. The Campuestohan Highland Resort. 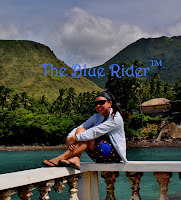 The best place when it comes to providing the best view of Negros Occidental. Nestled in one of the highest peaks of a mountain bordered by Bacolod City and Talisay City, the five-hectare Campuestohan Highland Resort offers the be st panoramic view of Negros, and even overlooking the seas and island of Panay. You can see all the beauty from Campuestohan Highland Resort, which is about 40 minutes from the downtown area, located on the border of Bacolod City and Talisay City. Pass through Barangay Granada in Bacolod City and follow the signs. It is an uphill ride to Campuestohan Highland Resort. Admission is P150 per head and includes use of the swimming pool. A cottage rental for the day starts at P600, which includes a BBQ grill. Campuestohan Highland Resort is such a wonderful place to spend the day during a family outing. Take a look at the shots I got in my short visit.